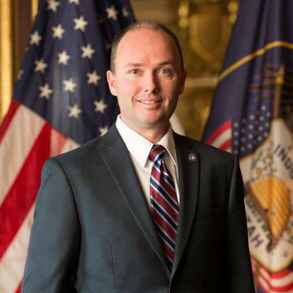 Spencer J. Cox was appointed Utah’s Lieutenant Governor in October, 2013. He formerly served in the Utah State Legislature, as a Sanpete County Commissioner and Mayor of Fairview. He was the Vice President and General Counsel of CentraCom and practiced law with Fabian and Clendenin. Lt. Governor Cox received an Associate Degree from Snow College, a Bachelor degree from Utah State University and a Juris Doctor degree from Washington & Lee University. He enjoys camping and hiking with his wife, Abby and their four children, as well as playing the bass guitar with his brother in a local rock band. Thank you to Adobe Experience Cloud Platinum Sponsor for your generous donation of $30,000. We would also like to thank all of this year's sponsors of the Celebration of Eagles Event. Your contributions will forever change the lives of thousands of youth in our community. Want to invest in youth? It's not too late to donate. positive impact on others as husbands, fathers, mentors, and leaders. Often, these men have dedicated a lifetime to their profession, community, and beliefs at great sacrifice to themselves and their families. They have consistently upheld the standards set in the Scout Oath and Law, making them great examples to future Eagle Scouts everywhere.